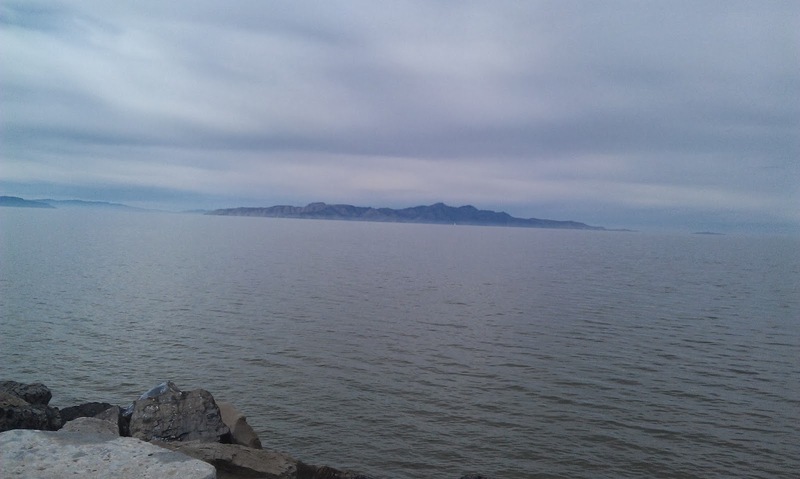 One of the exits along Highway 80 heading west out of Salt Lake City that has always intrigued me is the one for Salt Aire. 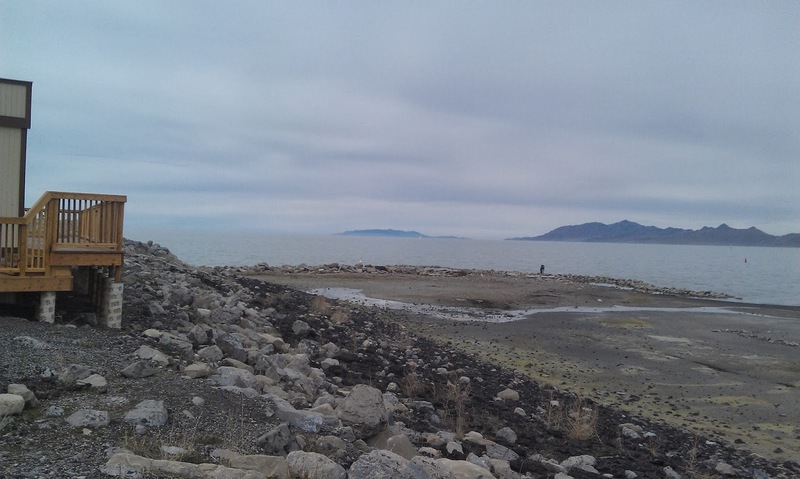 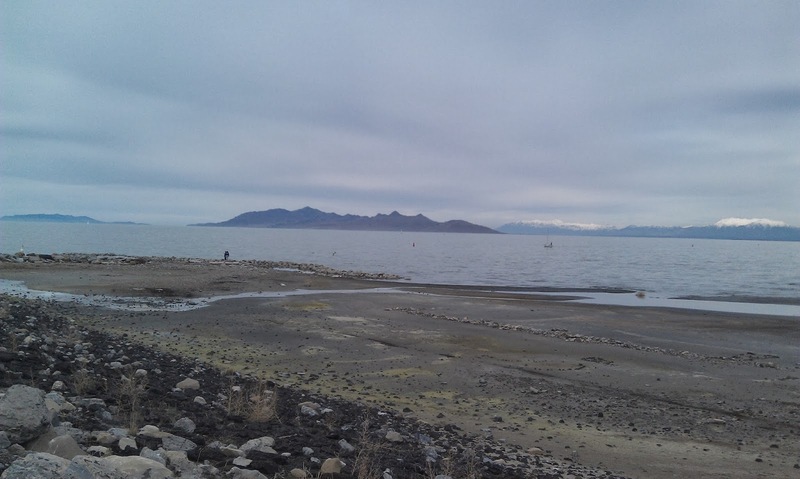 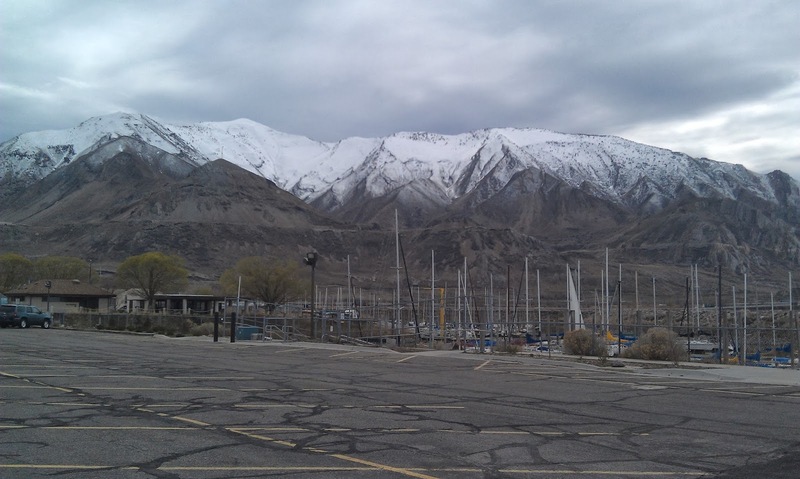 It pulls off the freeway and almost immediately you are greeted with the sulfur smelling Salt Lake. 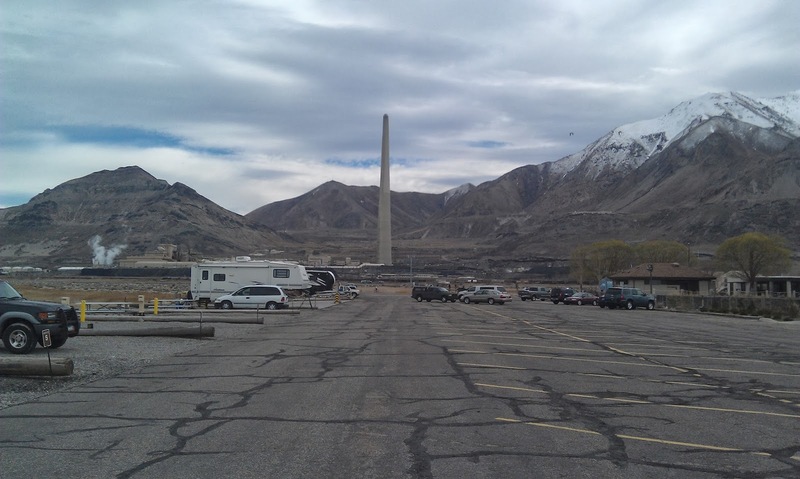 Also, you have a perfect view of one of Salt Lake City's prominent visual icons: the Copper Mine stack. 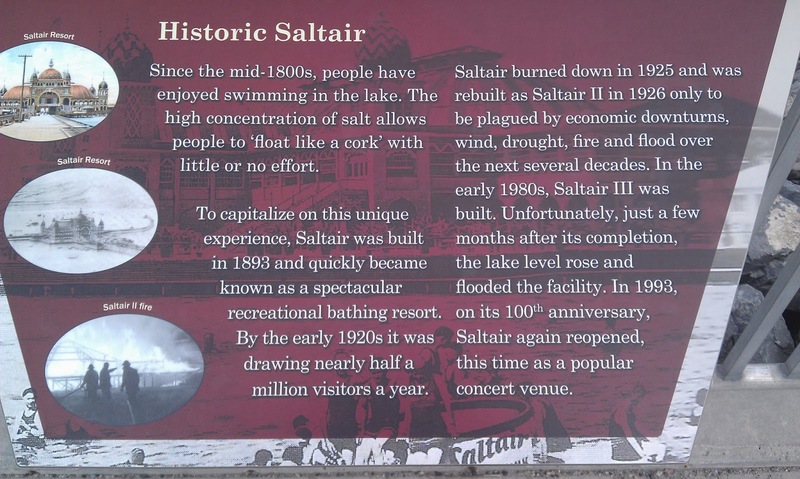 The Salt Aire exit has a pavilion where there are shows and concerts, but today we stopped in to see the lake and to see what else the area provided. 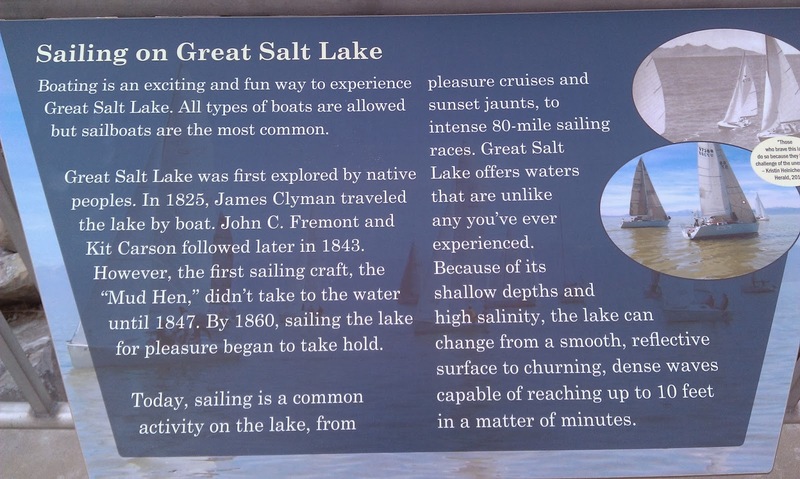 We had a guest from out of town and figured that this would be an easy way to show them "The Great Salt Lake". 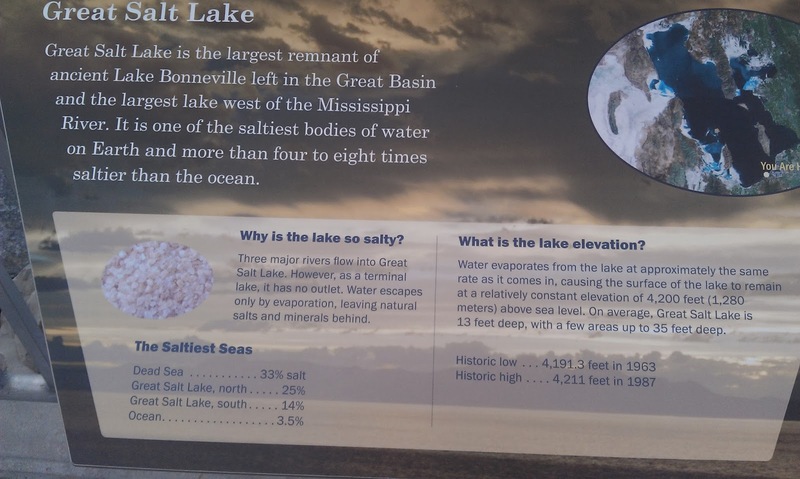 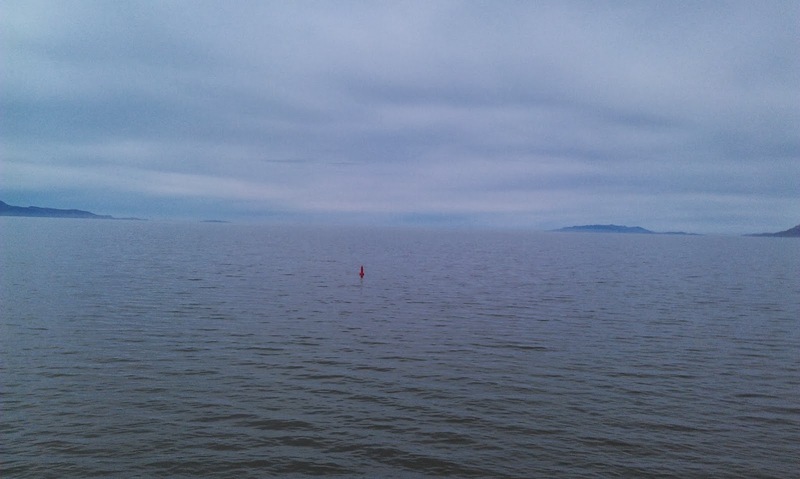 It is hard to believe that people actually like to swim in it. 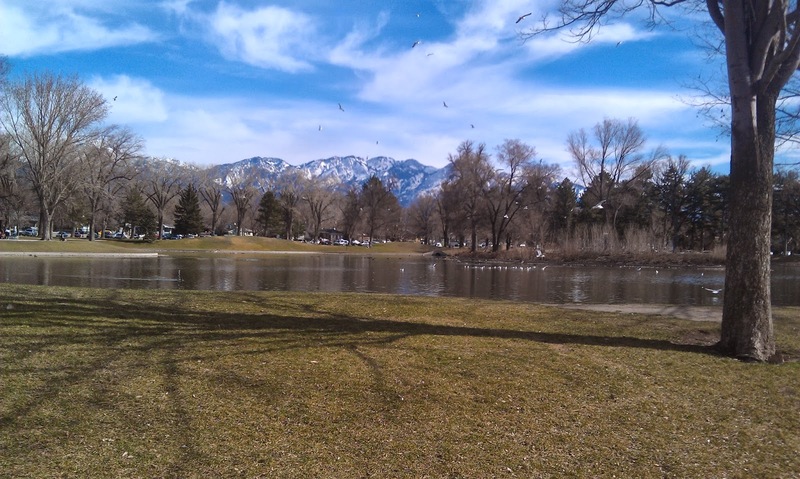 To me, it resembles more of a swamp and it is stinky and just not very pleasant. 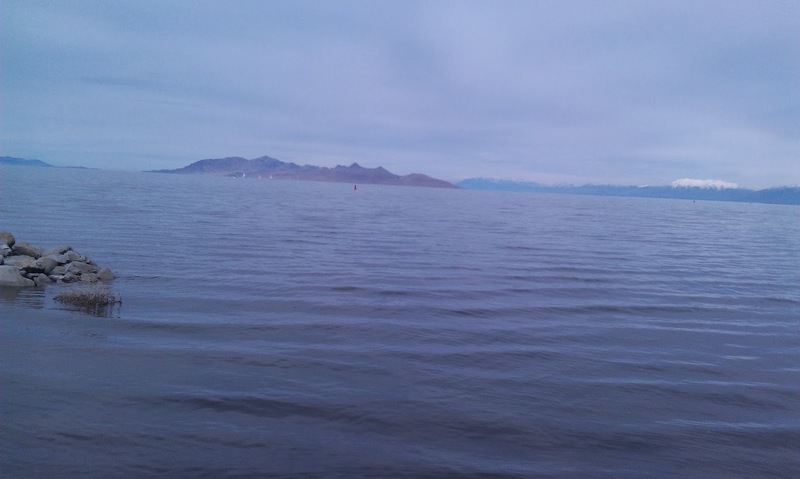 It certainly looks pretty though, especially with Stansbury, Freemont and Antelope Islands in the distance. 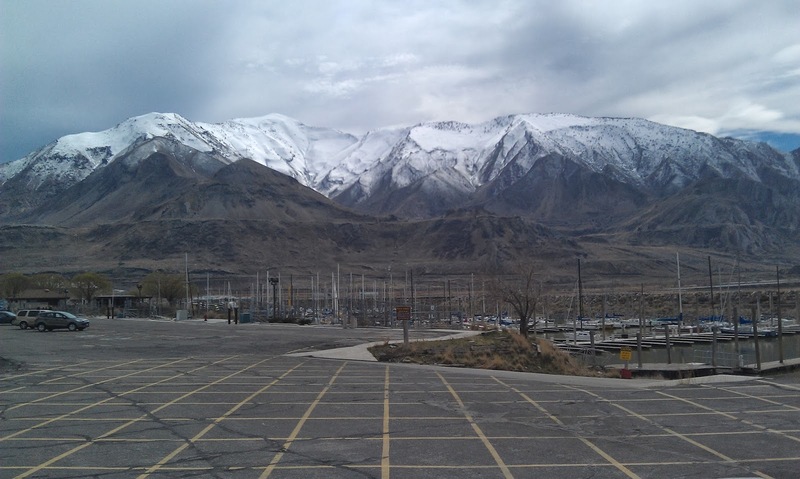 While it wasn't a super great day for photos I snapped a few in hopes of sharing them. 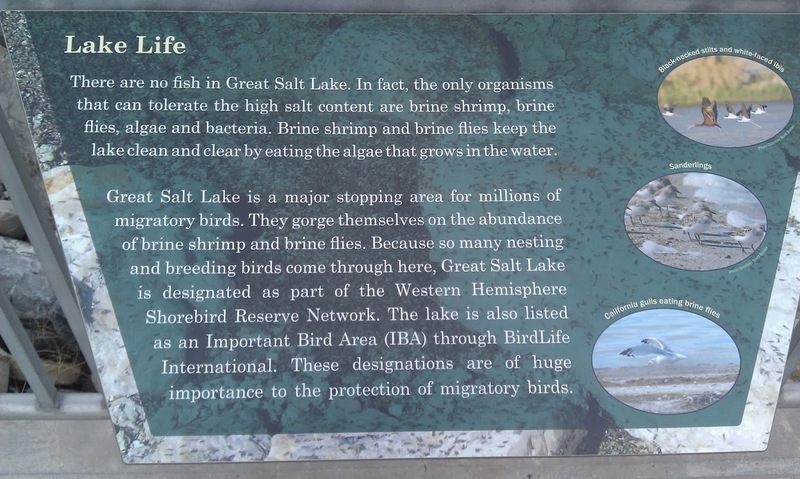 I also took photos of the informational markers. 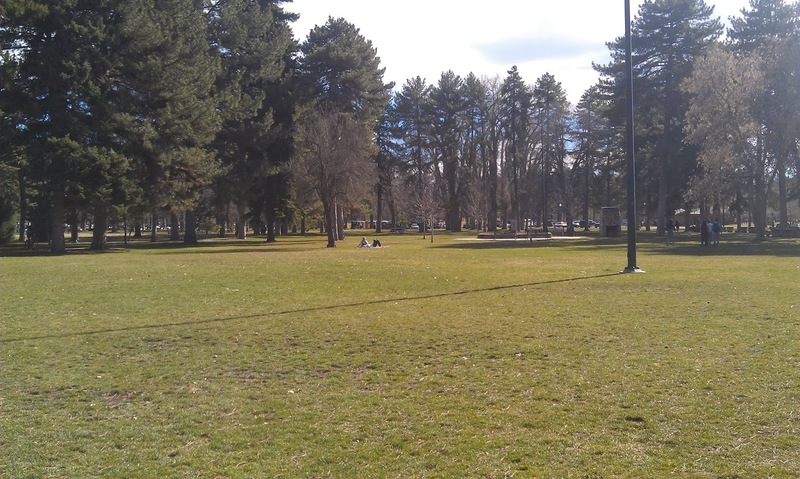 Finally we made a quick stop at historic Liberty Park where tons of people were out enjoying the fine spring weather we were having. 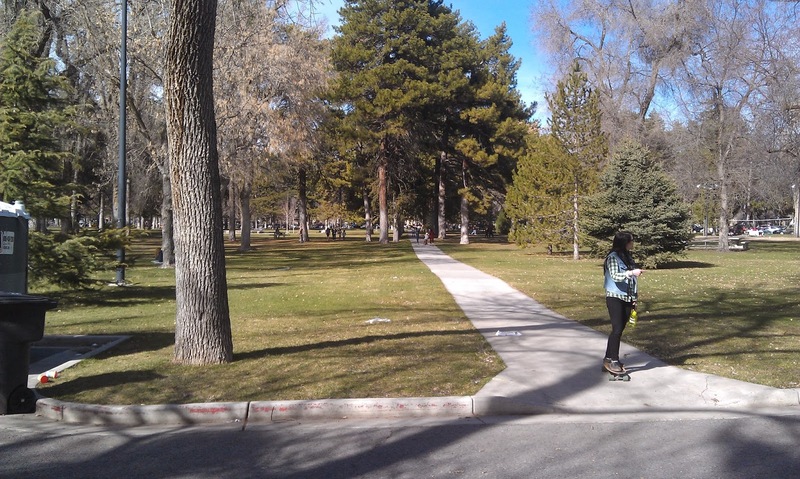 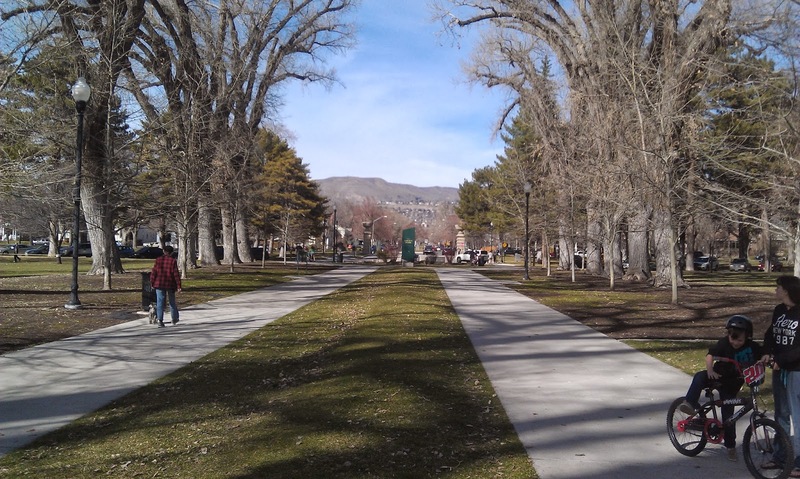 The park is huge (and was once owned by Brigham Young from what I have been told) and the perimeter is lined with a cylinder running track that is over a mile long. 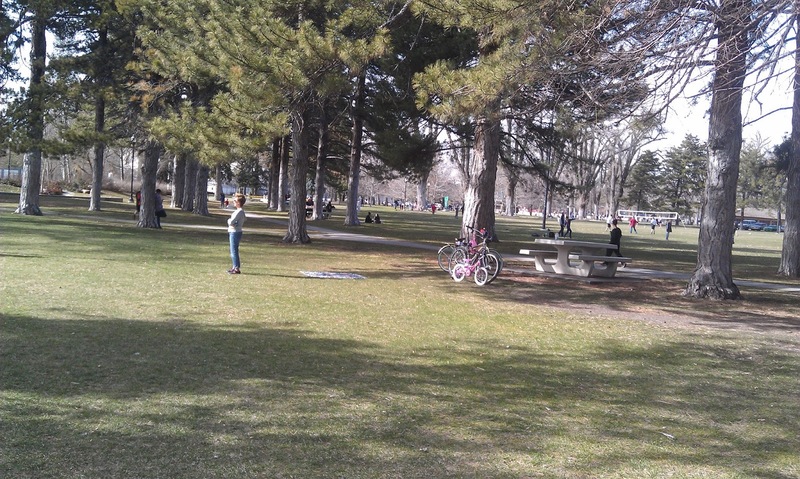 There were lots of runners, dog walkers and people just enjoying the park. 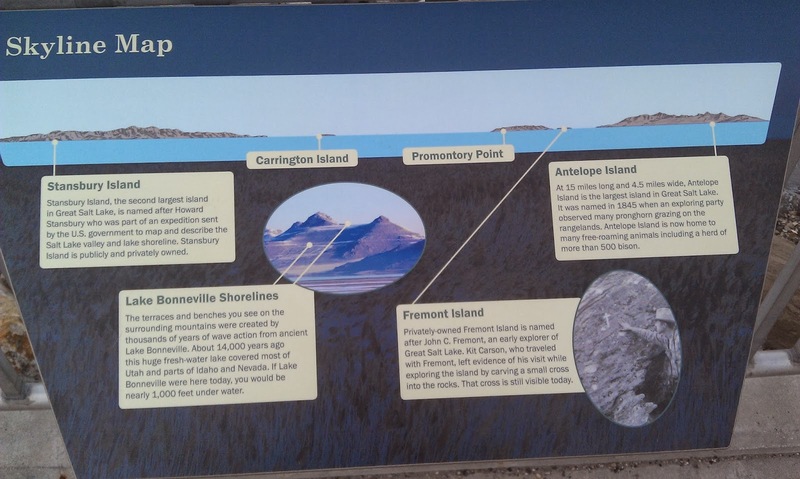 There was no shortage of human activity here.